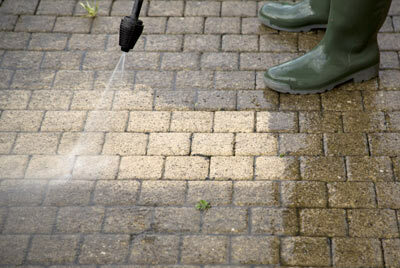 Pressure washing is one of the simplest and most cost-effective ways to improve the look of your business. Snow, wind, rain and excess leaves can litter your commercial facilities concrete sidewalks, walk ways and parking lots causing soil and dirt to become trapped within the rough concrete surface. When you start to notice your concrete surfaces becoming dingy and dark, it is time for pressure washing services. Pressure washing in a highly effective method for cleaning out the soil and dirt and will complement the appearance of your facility. When your concrete surfaces are pressure washed, the dark and grey sidewalks will become free of soil and dirt causing them to become several shades lighter and free of filth and muck. It is a safe and reliable method for keeping the exterior of your facility clean since it only uses water without any harsh chemical products. When you need your concrete floors pressure washed, janitorial services or other commercial cleaning services, rely on the local experts at ServiceMaster Cleaning & Restoration Services.